Artificial Intelligence implies only to machines; hence it recognizes the environment and copies intellectual functions of human beings and solve problems. In 2025 computers will be as intelligent as humans and then there will be a time when they’ll be more intelligent than all the humans combined. AI has also been employed to help us in fighting Cyber crime while adapting to the latest threats and applying new detection capabilities. AI is not new , your Android Pie uses AI to perform various app management tasks while AI is already fighting SPAM and it doesn’t stop here. Every Internet user has read at least 10 Articles completely written by AI and this is just the start. The field of Artificial Intelligence is moving fast and the growth rate is exponential, It affects our lives and society. AI augments the personalities of people into machines. Building intelligent machines is the approach of all the researchers now. Everything is getting digitized and with more machine learning we see more cyber crimes and added threat to the data available online. 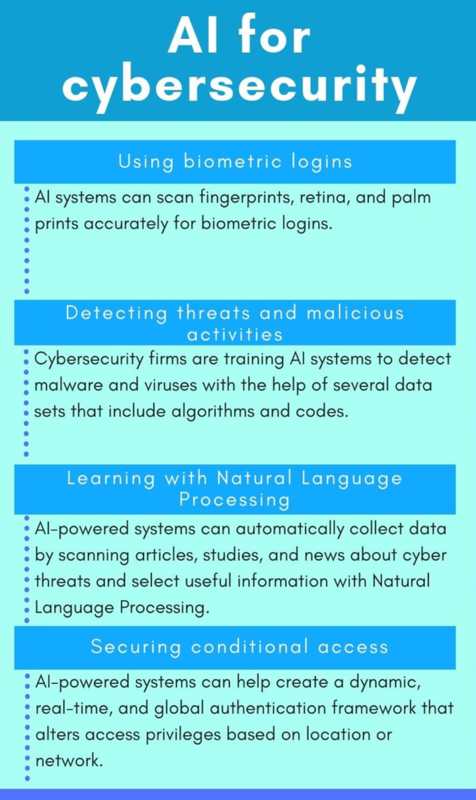 While AI can easily surpass the available threat detection methods and will go two steps ahead in detecting the threat beforehand. AI is not new , your Android Pie uses AI to perform various app management tasks while AI is already fighting SPAM and it doesn’t stop here. Every Internet user has read at least 10 Articles completely written by AI and this is just the start. Using AI organizations can get a huge benefit by detecting emerging malware and detect the existing cyber threats and secure the systems more effectively and efficiently. The most powerful thing about Artificial Intelligence is its understanding of the natural language, which in return makes it easy to detect even more sophisticated attacks. Conventional methods using standard detection methods to detect malware and viruses are now unable to detect newer types of malware as they are more sophisticated and for this many organizations have started training their employees on how to handle machines properly and are also getting systems with AI integration to tackle such threatening viruses and malware to protect their data and system. AI surpasses conventional threat detection modules as it allows over the air learning and conventional detection runs at its full potential since day 1 while it has no room to nurture or learn, this is where AI beats all conventional methods. AI might not perform great on its first batch of catching malware but after a few incidents it will learn and adapt something which is the requirement in the cyber industry. An example of real-life cases can be of Sentinel, a home security company that has special coding and algorithms that can detect threat factors on raw videos. They are also coming up with new and more advanced home security solutions that will use AI for threat detection which means more safety will be assured. The company also provides security at high profile events providing the highest level of protection. Note : At the time of writing Sentinel website crashed is not loading therefore i am not linking to the source. Senseon is also a name in cybersecurity that is working on malicious threats in the cyber world using AI since traditional methods can’t keep up the pace. The old systems cannot detect unusual behaviour or understand human language which in return often ends up flooding systems with malware. Senseon has also been named as the Hot Company – Cybersecurity AI. Companies believe in zero malware policies now and they don’t have an option of not opting for systems with AI to secure their data. 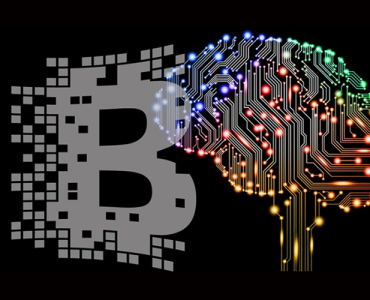 Although if AI systems are compromised it would be a bigger disaster as it would have a greater level of access on the network, this threat is not taken seriously by the companies as compared to the risk that their data can have without using it. The traditional systems of cybersecurity cannot keep the pace now. AI can also intimidate IT personnel of the malware about to hit the system so that necessary measures can be taken in time. It has a proactive approach and saves time and works effectively. With AI cybersecurity systems, organizations need a lot of resources, training and accurate coding to bring favourable outcomes. Any mishap can result in losing data which can also include private user data. AI is trained to recognize patterns and if the algorithm is messed up, it can easily allow dangerous malware into the system. A proper audit of the software and hardware from time to time with training is essential. AI is the essential weapon but the skill needs to be harboured with care before implementing it on internal networks. Used with care and it will be helpful else it can have disasters of its own.